This article is 2457 days old. Windsor Police have released updated information from Saturday’s suspicious fire that resulted in a death of a man. Around 5:15am yesterday morning, Windsor Firefighters and Windsor Police were called to 828 Louis Avenue for a fire noticed and called in by a neighbour who smelled smoke. Firefighters arrived and quickly extinguished the blaze but not before pulling the body of a man out of a bedroom. The man was pronounced dead at the scene and signs of trauma were evident. Investigators quickly determined that the victim died as a result of homicide. 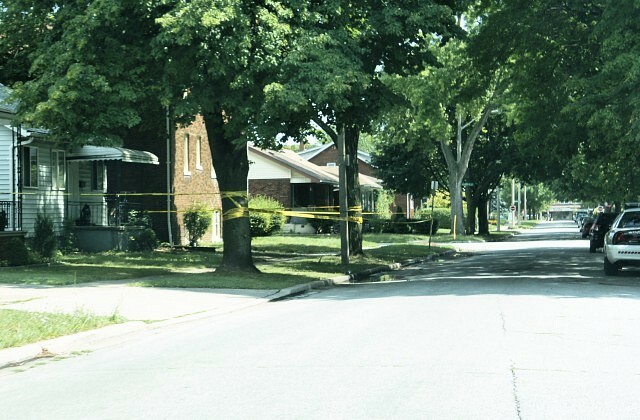 Police have identified the victim as Dale Allen Young, a 65-year-old Windsor resident who lived at the house for two years. Young was the father of four adult children. Windsor Police say an autopsy is being conducted today at the London Health Sciences Centre and that members of the Windsor Police Major Crime, Investigative and Arson units, along with the Ontario Fire Marshall and Coroner’s Offices are working together on this investigation. The cause of death and suspected motive will are not being released at this time, however investigators determined that the fire was deliberately set. Mr. Young was known to socialize at his home with people from Windsor and Toronto; investigators are asking any others known to the victim to contact the Major Crime Branch. The investigation is in its early stages and detectives are looking for anyone with information to contact the Major Crime Unit at (519) 255-6700 ext 4390 or to call Crimestoppers.